A good paint job goes a long way- get my top 10 tips for painting small spaces like a pro. 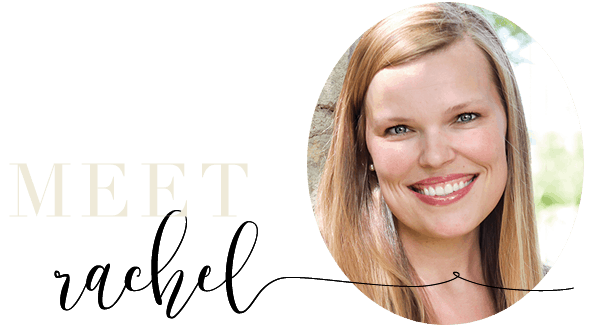 But when we are talking about our home, I think it is the small spaces that are often the hardest working and the least appreciated: closets, laundry rooms, bathrooms. And I’m here to stand up for the little guy today. A good paint job goes a long way (and an efficient one saves sanity, am I right?!). 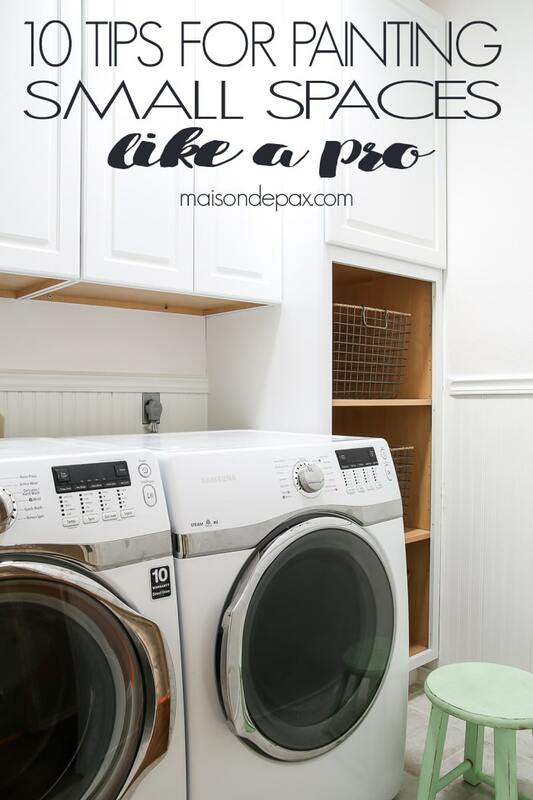 And as I am finally doing a little work in my laundry room (which is approximately 5’x6′), I thought I’d share my best tips for painting small spaces like a pro. A small paint job shouldn’t take forever, but it definitely drags out if you don’t have what you need. 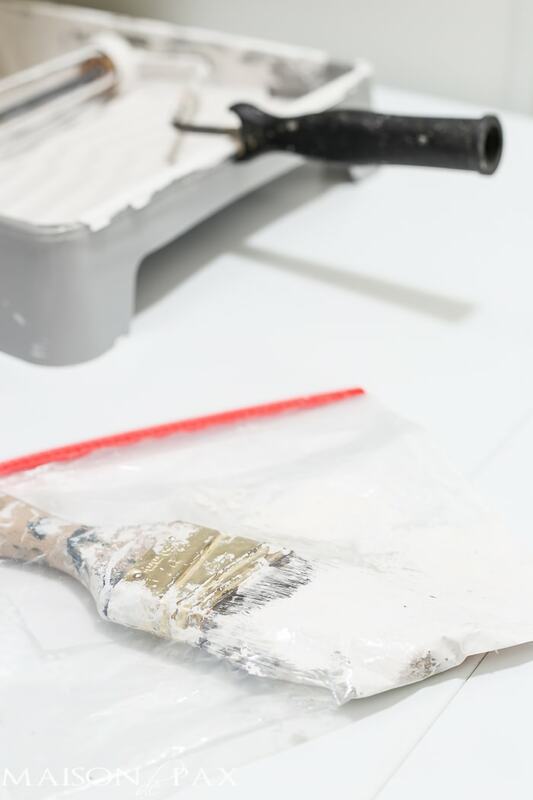 You need the obvious: paint, roller tray, roller, paint brush, drop cloth, and screwdriver to open paint and remove light covers… But you also need a ladder, a plastic bag (like a grocery sack), one medium and one large zipper plastic bag, and FrogTape® brand painter’s tape. Tip 2: Tape off all your sharp lines. I’ll be the first to admit that in many rooms (especially if I am painting with a light color), I don’t always tape off every piece of trim. But in a small space where your nose is mere inches from the wall, a sharp line is so important, even when the color contrast isn’t significant. 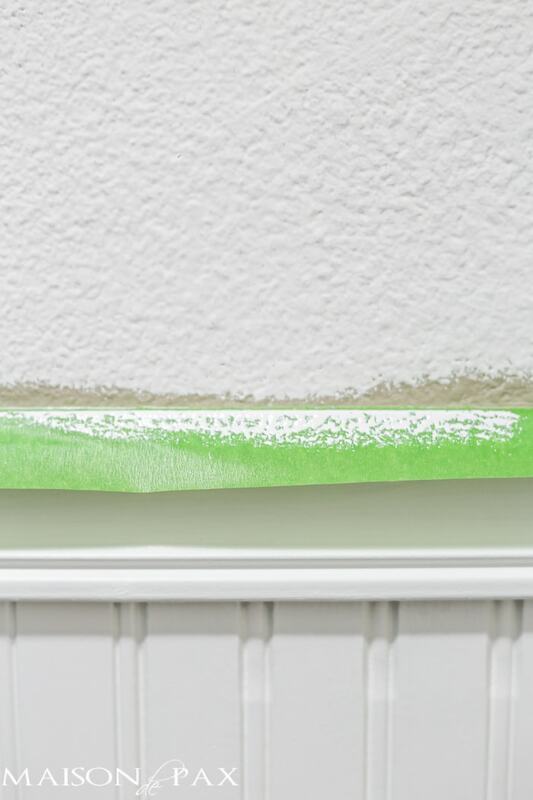 Frog Tape is the only tape with paint block technology, and it really makes a difference. To see a more dramatic line, you can see my half bath where I painted the wainscoting dark gray. To get the straightest line, I always tear the tape into strips that are easy to handle and then overlap an inch or so as I lay the next one. For this project, I used the Multi-Surface painter’s tape, but I’ve used the Delicate tape on other jobs and been pleased with that, as well. To learn more and help you choose the right tape for your next job, visit FrogTape® brand painter’s tape. 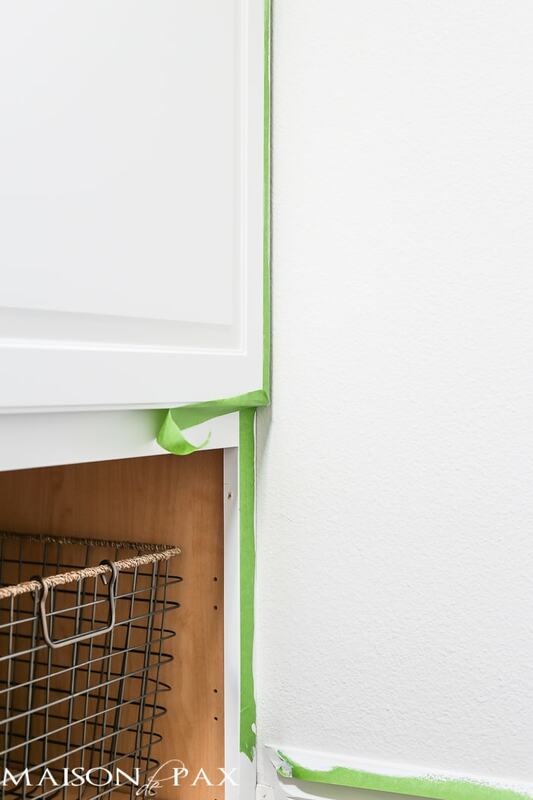 Tip 3: Tape off your tight corners. 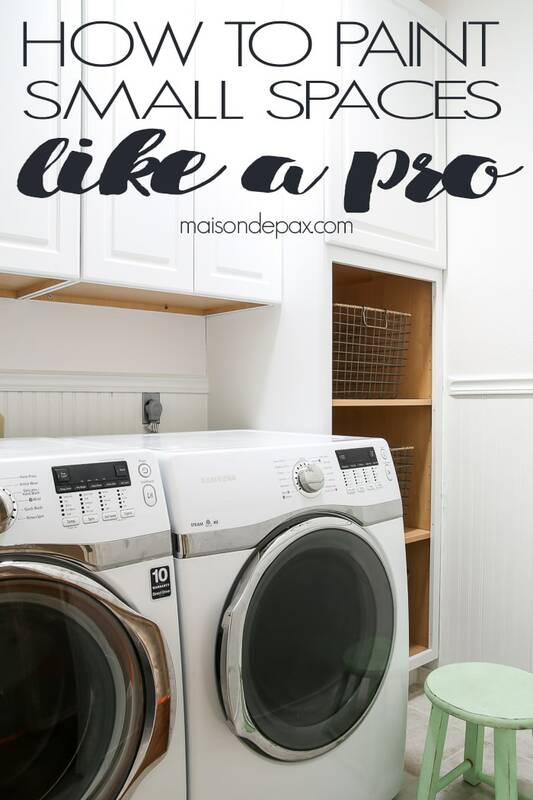 In small spaces, especially rooms with built in cabinetry and shelving, there are often spaces where you may not need a sharp line but if you’re not careful you’re going to get paint all over a cabinet door or trim that sticks out. Throw some tape on those spots; it saves untold amounts of time not to have to worry and work slowly around those places. Tip 4: Roll as much as possible. I am often tempted when it is a small space to think, “It’s probably just as quick to use my brush here because it’s so small”…. NOT TRUE. Seriously, a roller is so much more efficient. And if you’ve taped off well (see tips 2 and 3), you can get almost all the way to the edges without mishap, saving tons of time when you cut in. Tip 5: Don’t bother with an extension to your roller. In a big room, I use a broom handle on my roller; it works great to speed things up and allows me to reach the high and low places without bending down or using a ladder. In a small space, though, it will just create a headache; there is simply not room to maneuver, so don’t try. Have a step ladder on hand and get your stair climbing exercise for the day. Tip 6: Use your plastic bags to preserve your brush and roller. I always put my brush in a medium zipper bag while I’m rolling. It keeps the brush from drying out and allows me to clean it only once when I’m completely finished. Usually, by the time I’m finished rolling a room, the paint is dry enough to come back and roll the second coat or touch up, as needed. 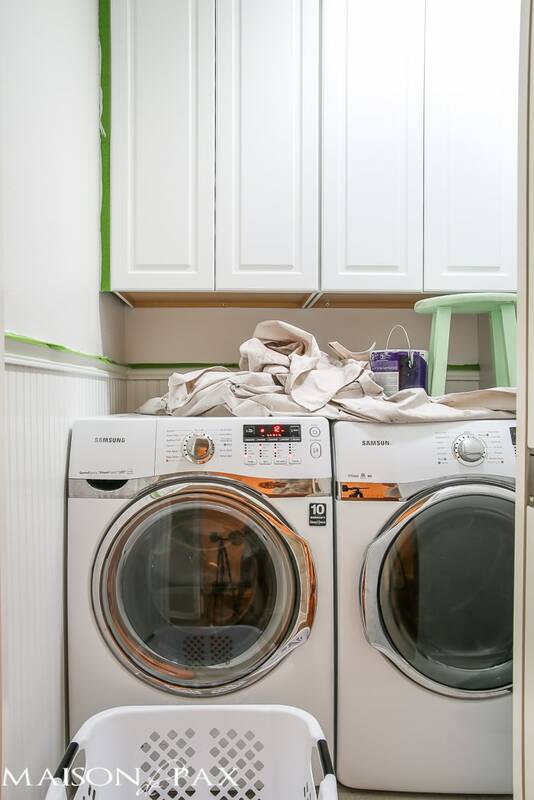 If your space is as small as my laundry room, though, you may find that your first coat is still wet when you are finished rolling. To preserve your roller, wrap the grocery sack around it and tie it up. If you get distracted by three crazy children whatever is going on in life, you can even slide the roller off the handle (using the grocery sack to keep your hands clean) and put it in the zipper bag. It won’t dry out at all! Tip 7: Roll. Cut in. Roll. As I mentioned in tip 3, rolling first will allow you to get as much coverage as possible with the roller. So much more efficient. Often, in a larger room, you can tag team with someone: one to roll, one to cut in. 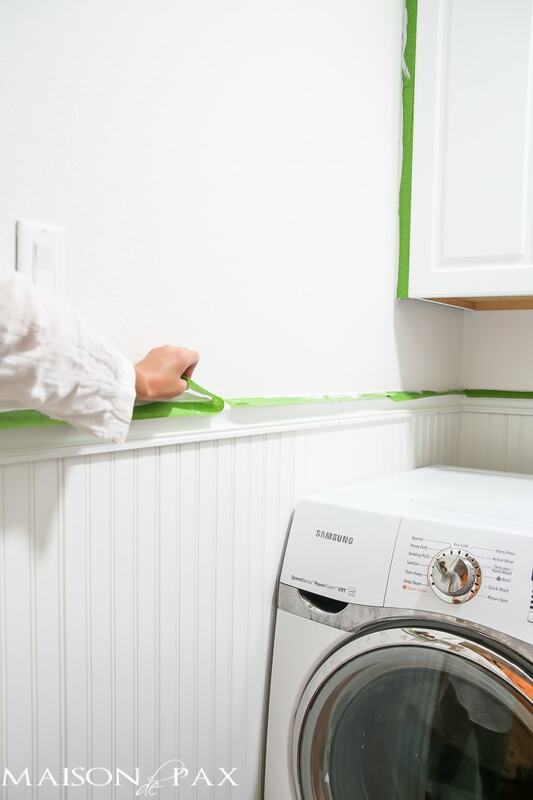 That’s usually not possible in small spaces, though, and since the first coat may not be dry by the time you finish rolling, switch to cutting in those edges. 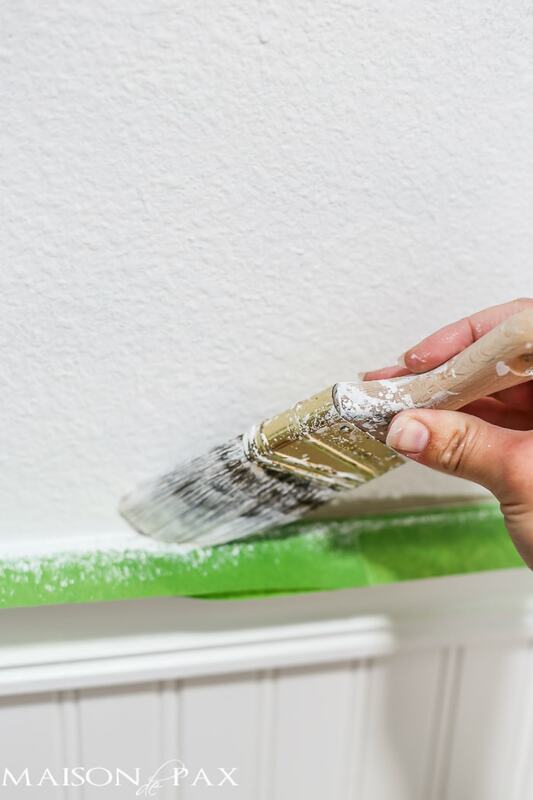 By the time you finish the edges, the walls will be dry enough to roll the second coat. Efficiency is key, my friends! Tip 8: Use a high quality paint with an eggshell finish. Let’s face it, small spaces are hard used. Even when trying to photograph this room for you, I managed to scrape my tripod all down the wall and bump the step ladder against it multiple times. 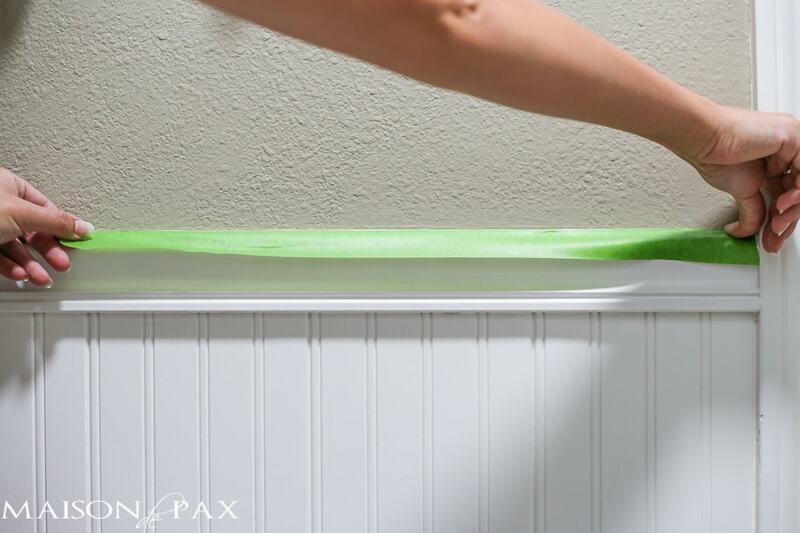 Whether it’s the moisture in your bathroom, the bumping of the ironing board, or the constant wear and tear of the shoes being thrown into your closet, those spaces will benefit from high quality paint and an eggshell finish will help it repel marks (and many brands are even wipe-able). Nobody wants to go to the trouble of painting a space only to have it look terrible in mere weeks, right? Tip 9: Try a light color. I’m putting my designer hat on here for a moment… Bold is fun, but light really does open up spaces. If you’re feeling like the space is tight, go lighter; my laundry room (which has a skylight) now glows with its fresh white walls and feels much bigger as a result. Tip 10: Try to finish in one fell swoop. This is a case of “Do what I SAY, not what I do.” Don’t forget that those small rooms are your hardest working ones. If you’re not careful to finish in one setting, you’ll end up like me: washing clothes with open paint cans above. Don’t underestimate the value of efficiency!! 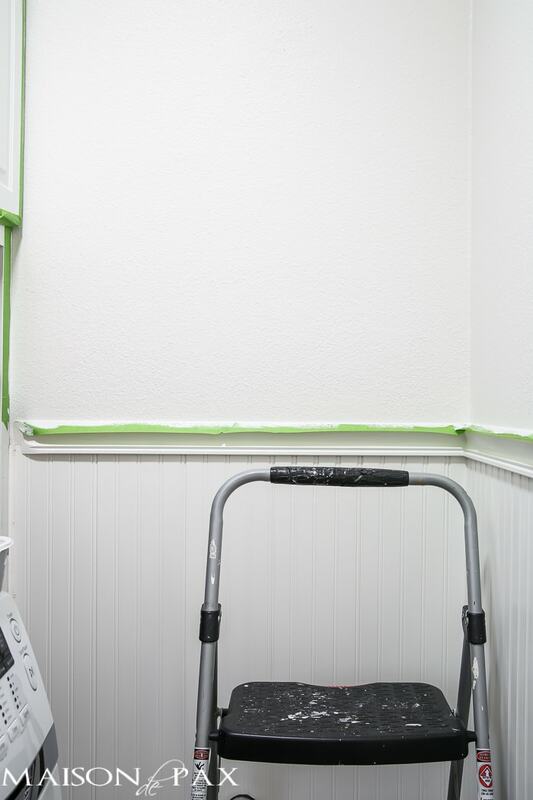 Now go tackle that small space like a pro… A fresh paint job can make such a difference! 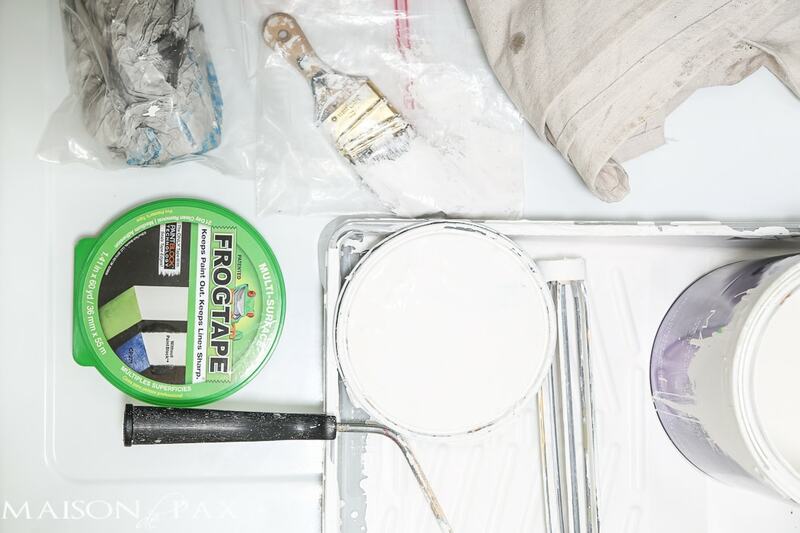 And check here for more FrogTape® painting inspiration. Wonderful, Maggie! I’m so glad to hear it. I hope you find them helpful! Painting is my husband’s least favorite chore. All the prep work seems exhausting, but now that you’ve detailed a plan…. I may try a new color in the powder bath! Small pieces are really hard to reach. Thanks for sharing this guide. I will put this info to good use.